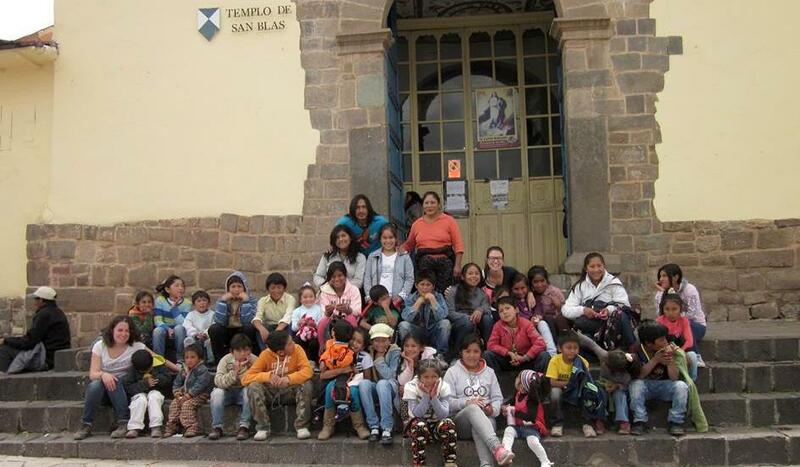 Our Hostel Caja Magica is working as our only financial source to help to the NGO Cooperar Peru! The NGO is a non-profit civil association that was started in the end of 2010(registration number 11116229). Cooperar Peru aims to help and contribute for the improvement and development of Tankarpata Community, which is a countryside-like community located 20 minutes from the historical center of Cusco. The Civil Association works in the area of ​​education, health and community development with more than 50 children, between 2 to 14 years old, and their families. Despite its short proximity to Cusco city, the community of Tankarpata does not have drinking water or sewerage. This directly affects the health of the families living there, which is reflected in the performance and school development of the children. It also is a cause that increases the cases of alcoholism with parents, which again leads to abuse and violent behavior of the families. Our project aims not only to teach children to write or add up properly. We want to create and strengthen ties linking volunteers with our children, sharing with them their knowledge. It is not a school but a support project that combines academic and social aspects. The aim is to prevent school failure, to facilitate learning opportunities, and to provide support for socially excluded children from their studies. Together we can find solutions and change the future of many children. Hola! Ya hemos contactado con Cooperarperu, ellos nos acogerán a mí y a mi pareja para el voluntariado las próximas semanas. Llegamos a Cuzco el 13 o 14 de Marzo. Tendrían hospedaje para al menos 15 días? Las tasas y el desayuno por ser voluntario tienen algún descuento? Les agradezco contacten conmigo patry_esgar@hotmail.com para confirmar las reservas. Gracias!